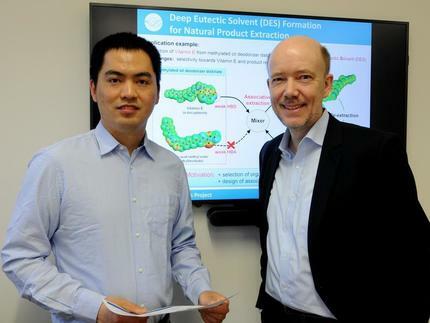 The new Sino-German joint research project entitled "Computer-Aided Design (CAMD) of Deep Eutectic Solvent (DES) based Processes for the Separation of Natural Components from Liquid Mixtures" has started with effect of April 1st 2019. Essentially, the scientists of the Max Planck Institute for Dynamics of Complex Technical Systems and their partners at the East China University of Science and Technology (ECUST) in Shanghai will try to extract Vitamin E from deodorizer distillate which is a highly valuable stream from vegetable oil production in China and other countries. The key idea is to use so called Deep Eutectic Solvents (DES) for this purpose.